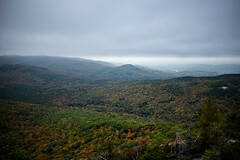 Google Plus – Wheeler Blogs. 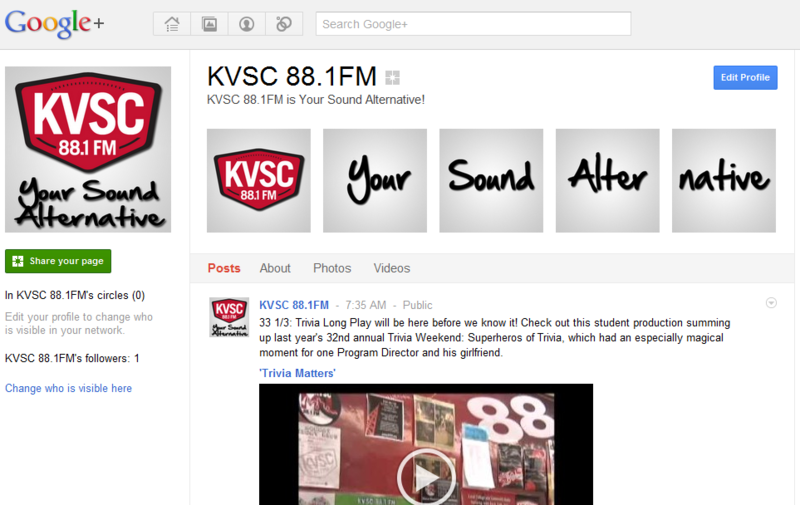 New Google+ Events feature has cool animated themes and ability to share photos during the event to create a slideshow. 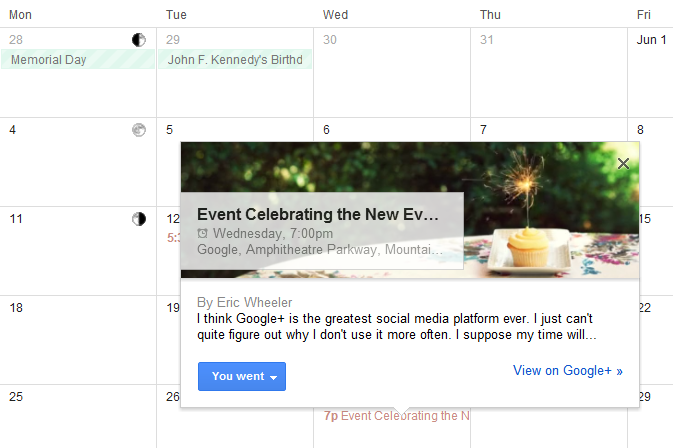 I was greeted with a pleasant surprise when I opened Google+ in my browser the other day: Google+ now has events. I guess I geeked out pretty hard as I immediately created an event even though I didn’t really have an event coming up. 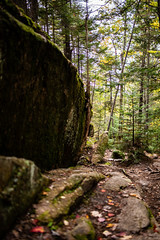 I created the methodical “Event Celebrating the New Events Feature on Google+” and invited a few Google+ friends I thought might actually be interested in the new feature just to see how it works. My test run turned out pretty good. Creating an event is rather fun because it’s really easy and Google+ has a classy set of animated stock photos to choose from to be your theme. This is definitely a step up from other social networks with event features–Facebook doesn’t even have photos to choose from, let alone animated images. 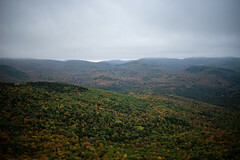 Of course, you can also use your own photo–either by choosing from your photos already uploaded to Google+ or you can upload straight from your computer (proper dimensions are 940px x 280px, only static images supported at this time.). After a theme is set, add a title, select time and date, location, other details and invite your friends. That’s pretty much it as far as creating an event. When inviting people, you can choose between searching anyone on Google Plus, choose specific circles or type in an email address. This is another feature that definitely sets Google+ apart from Facebook. With Facebook events, you can only invite other Facebook users. With Google+ events, you can invite anyone you know as long as they are either on Google+ or have an email address (which is pretty much anyone). Some of the event options include allowing guests to invite others, allowing guests to add photos, making it a public event or making it an exclusive a Google+ Hangout. Advanced features include adding a website, a ticket seller URL, YouTube video and transit/parking information. 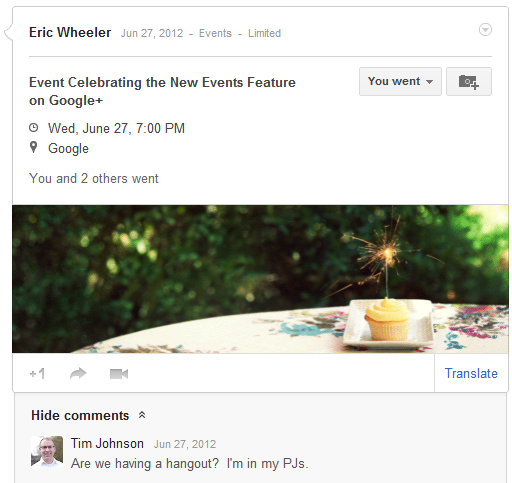 Probably the best part about Google+ events is that it’s fully integrated into other Google products. You can easily add the event to your Google calendar (it adds automatically when you create an event or mark yourself as “attending”) and emails are sent to guests with an invitation. I can see the last point as being a negative as well–more popular Google+ users might get spammed by event invitations. Receiving an invitation in your gmail inbox might not be so bad, but you also get an email every time someone comments on the event page. Of course, this is a minor problem as you can easily mute updates to the event (just as you can regular Google+ posts) and you can always adjust your Google+ email settings. I can definitely see this as being a great marketing tool for businesses to promote upcoming sales events or conferences. 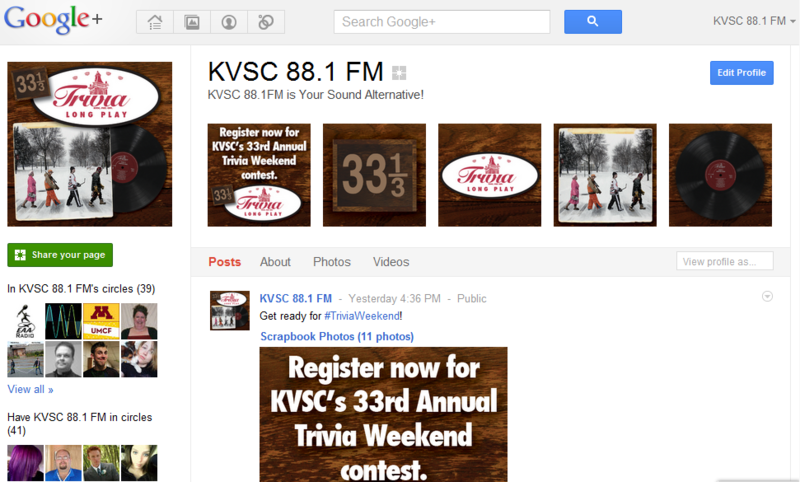 The ability to easily share photos before, during and after the event is what Google+ Events is basically built around. It will be interesting to see what brands come up with to further connect with consumers.